The days have become longer and the snow has melted. The sunshine is encouraging your child to get outside and enjoy some spring activities. But which ones to choose? Here are some great spring options to keep your child active and having fun this upcoming season. It’s hard to find a community that doesn’t support this springtime favourite. Soccer offers its participants team-building and a great work-out. 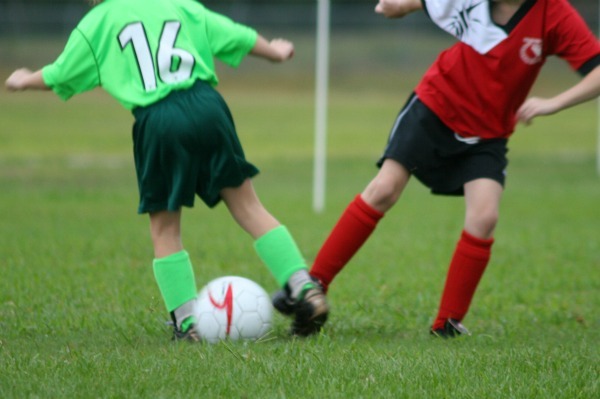 Usually starting at around age four, kids can enjoy playing in a soccer league; and, while spring leagues are popular, it can also be played all year round in an arena environment. While a rugby league in every neighbourhood is a bit harder to find, this outdoor sport is gaining popularity. It’s a rough-and-tumble game that to a spectator may look like a combination of soccer and football. Rugby incorporates the benefits of a team sport such as soccer, but is faster and has that full-contact sport appeal. A classic, timeless sport, baseball is a spring and summertime favourite. Versions of this game include T-ball, softball and fastball. Kids of all levels and abilities can give this sport a try. It promotes teamwork and individual excellence, while allowing the participates to enjoy a slower-paced game. In Canada, most golf courses open in early spring and offer lessons as well as junior golf programs. In recent years, golf has seen a surge in popularity — more people are playing it than ever before. While golf is generally considered an individual sport, requiring children to strive for their personal best, it is also a sport that can be enjoyed together as a family. As an option to a team or individual sport, help bring out your child’s green thumb by having them plant and tend to a garden. They can use a small plot of land to plant flowers and vegetables or they can create a container garden. Let your child be responsible for the weeding, watering and general care and in the end, they will be able to enjoy the fruits of their labour. Certain clubs are seasonal, so trying them out in the spring is a perfect idea. Does your child enjoy aviation? Model airplane and kite flying are just two examples of clubs they might join. Is your child crazy about nature? If so, a program at a zoo or bird sanctuary might suit them best. There are many clubs and programs to choose from; and, if your community doesn’t offer a program or club that suits your child’s interests, you can always help your child start one.